This book asks why do short-term memory tasks change our behaviour? How is our worry-profile the same as an Argentinean farmer’s? 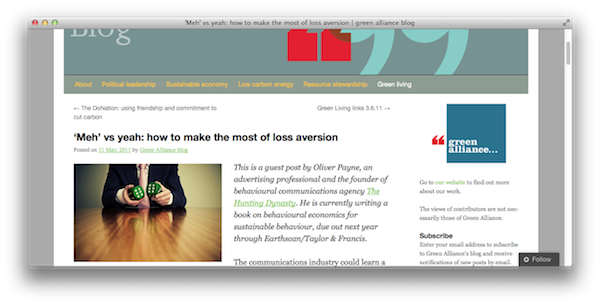 It uses robust, peer-reviewed psychological insights to show how to change behaviour. It will teach you how to ask for persistent, pervasive, invisible – and in some cases near-costless – change by using our hidden quirks, judgmental biases, and apparent irrationalities. It’s of great value to policymakers and professionals in marketing and communications departments dealing with issues of resource-stress. There are several reasons to recommend this book… it is written in a frank, conversational style that most readers will find appealing… the author covers a great deal of ground and effectively summarizes the technical literature in an easily digestible format. The book also includes a glossary of terms, making it easy for the reader. 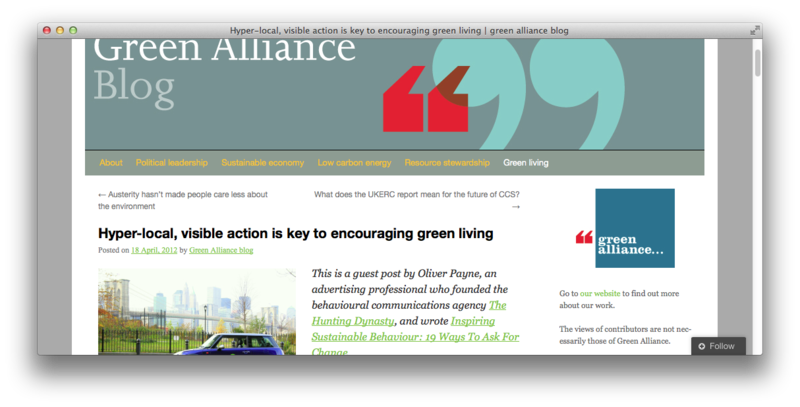 Advocates of environmental issues come on strong… Inspiring Sustainable Behaviour turns this on its head… Payne’s book is like an industrial loom for the synapses; it weaves in strands from contemporary psychology, cutting-edge marketing and cognitive behavioural techniques to show us how… ultimately… this can be used to our planet’s benefit. Nudging can be used for good or for evil. For far too long, the evil-doers have known about the tools for influencing behavior. Thanks to efforts like Oliver Payne’s, that is all changing. 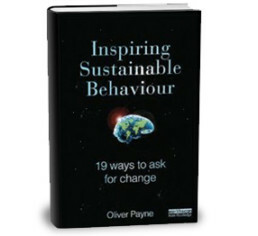 Inspiring Sustainable Behaviour will help create more good in the world, while bringing more fun and happiness to those who lead the charge.
. . . Oliver Payne masterfully brings together insights from a wide range of psychological research, weaving them into a coherent guide for communications for change.
. . . 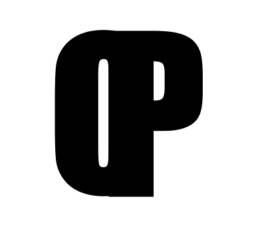 If you want to join the fight against this insane, mechanistic view of human nature, you will find Oliver’s book an essential and often-used part of your armoury. It is a commonly held view that calorific information on restaurant menus helps customers manage calorie consumption. 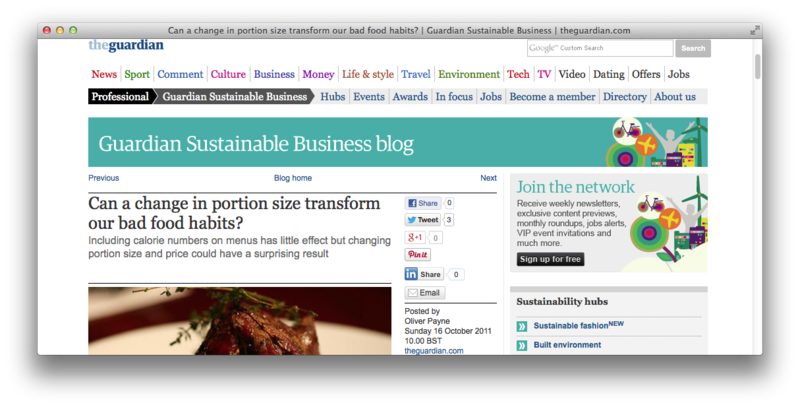 In an online survey of visitors to the Sustainable Restaurant Association’s website, over 60 per cent of respondents from the UK agreed. 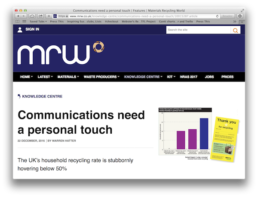 The UK’s household recycling rate is stubbornly hovering below 50%. WARREN HATTER AND OLIVER PAYNE believe that gentle persuasion could get it moving again – and prove it in on-site study in Bristol using behavioural science. The communications industry could learn a lot from the sciences. For a start, it would do well to look up a couple of economists called Kahneman & Tversky, and their 1979 paper ‘Prospect Theory: An analysis of decision under risk’. It might not sound like most people’s idea of a good bedtime read, but it is the second most cited economics paper between 1975 and 2000. It’s a big deal. 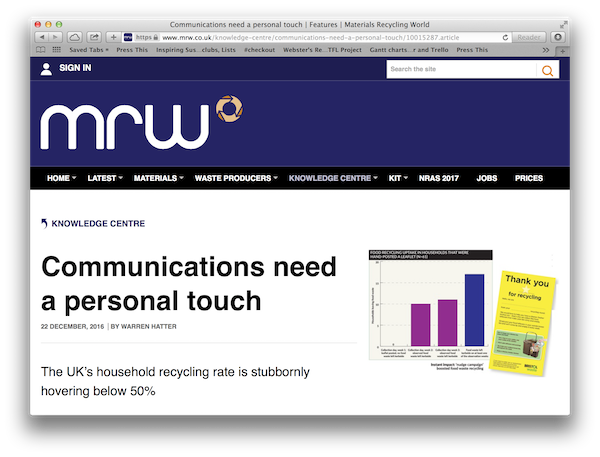 Talk to any communications specialist and they’ll tell you how important social norms are in driving behaviour. This is correct, but a little broad. Norms – or the implicit and explicit rules that govern a society – come in many varieties. Both the injunctive norm (what we’re told is approved of), and the descriptive norm (what we see others doing) can help persuade us to act more sustainably. Coca-Cola Enterprises and Keep Britain Tidy used an innovative, four-stage methodology designed, delivered, and reported by The Hunting Dynasty to understand the behaviours of people who litter non-alcoholic drinks packaging, in order to identify and trial solutions to positively influence those behaviours, and ultimately reduce and prevent the amount of litter from non-alcoholic drinks packaging. A comprehensive communications plan to reduce domestic water consumption for the use of all of the South of England’s water companies, to run alongside existing local campaigns. Waterwise is a not-for-profit funded by water companies focusing on water efficiency. Chaired by DEFRA, a steering group populated by the Consumer Council for Water, The Environment Agency, Sutton and East Surrey Water, Affinity Water (formerly Veolia Water), Thames Water, South East Water, WWF (World Wildlife Fund), Waterwise, Energy Saving Trust, and Kent County Council, oversaw and approved the plan.